So, you have reached the point where you need to start thinking about wedding favors for your guests when you celebrate what is undoubtedly going to be one of the biggest days in your life? Since the title of this review suggests that it is going to be all about vintage wedding favors, I think it is safe to assume that you’ve probably already settled on a particular theme. If that is indeed the case, then let me tell you, you have already won half the battle. Themed weddings have become hugely popular, and today there are literally countless different themes to choose from. This can make choosing a particular one quite a challenge, so if you and your future soul mate have already made up your minds, go ahead and give yourselves a pat on the back. Now your next challenge is to track down a reliable supplier; a business that not only stocks the sort of wedding favors you want, but one which can also see to it that your favors arrive in time for the big event. Should you place this amount of trust in My Wedding Favors, even if they are one of the best known online suppliers? Before I get into that, let’s take a brief look at this particular supplier. My Wedding Favors was originally founded in 2004 by Jennifer Nichols who is currently the company’s CEO. According to their official website, the Company has a very simply business plan: to help brides and bridegrooms find the ultimate wedding favors, regardless of what sort of wedding they are planning. The Company has been featured in a number of high profile publications, including the Wall Street Journal and Entrepreneur magazine. As with many other business models, the Company has expanded considerably over the years, and today they can supply wedding favors and other sorts of bridal shower gifts for practically any type of wedding imaginable. My Thoughts – The My Wedding Favors website is in my opinion very well laid out, and it is clear that a great deal of thought has been put into the design. For example, you can easily refine your search through filters which are based on themes; colors; seasons and etc. While there is no denying the fact that this is an impressive site with a huge amount of variety, that doesn’t necessarily mean you should automatically place your trust in them. I would probably be confident enough to order from them, but then again, I have studied countless My Wedding Favors reviews in order to gather sufficient information for me to be able to write this review. I know not everybody wants to spend their time reading through lists of benefits; pros and cons, so for the sake of convenience, please go through the Ratings Box at the end of this review which displays the most relevant ratings, based on what I have learned from all the reviews I’ve studied so far. Where do these numbers come from, and what should potential customers make of them? To better understand exactly what these numbers mean, please continue reading. 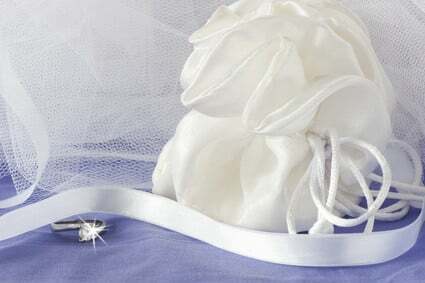 Easy & Convenient – Browse and shop for your wedding favors wherever you are, and at a time that is convenient for you. Outstanding Collection – My Wedding Favors has a far bigger variety of favors than you are ever likely to come across in any regular brick and mortar store. Lower Prices – As is usually the case, traditional High Street stores are simply no longer able to compete with online suppliers in terms of prices. Professional Assistance – Regular shops tend to have a high turnover as far as staff is concerned. Online suppliers on the other hand tend to hang onto their staff, and more often than not they’ll have a team of professionals on hand to answer virtually any questions you can think of. While doing my research, I ended up reading through countless My Wedding Favors reviews. Some related only to specific products, while others were more generic; relating to the Company as a whole. In this review, I’m focusing entirely on the Company, rather than on any specific products being sold by them. Rather than trying to mention as many PROS and CONS as I can, I’m only mentioning those ones which tend to be mentioned the most by previous customers. Please read through them slowly and carefully, and then make your own mind up at the end. Incredible Variety – No matter what sort of theme you have in mind for your wedding, you’ll almost certainly find favors that jump out as being ideal. Some of the most popular themes you’ll come across on the sites are Asian; Indian; Beach; Boho; Rustic and Vintage. Available variety is then further enhanced by the fact that your chosen theme can also be tailored around the color or colors of your choice, and also any one of the four seasons. Quality Merchandise – While I have admittedly read a few complaints relating to poor quality, the overwhelming majority of customers have expressed total satisfaction. Many customers have even said that the quality of their goods far exceeded their expectations. Value for Money – Prices are for the most part exceptionally reasonable, and I’m sure this is partly responsible for some customers saying that their expectations were exceeded. Naturally, if you are obsessed with always being able to find something cheaper elsewhere, you probably could, but my guess is it would simply not be worth all your time and effort. Great Customer Service – This is one area which often draws flack for online businesses. You can look through reviews of virtually any company you can think of, and you’ll almost certainly come across complaints relating to their customer service departments. When I started researching My Wedding Favors, I automatically expected to see a ton of complaints about their Customer Service department. Much to my surprise, the number of complaints appears to be far less than what I’ve encountered while researching many other online retailers. Most customers who have had dealings with this company’s Customer Service department have expressed total satisfaction. Longstanding Reputation – When you order wedding favors or other types of bridal shower gifts from My Wedding Favors, you are ordering from a Company that has been in business for more than ten years already, and that in itself provides a certain sense of security and confidence. Gift Personalization – While there may be a few exceptions, the vast majority of items being offered on the site can be personalized according to your own individual requirements. Samples Available – Unlike some companies that have minimum order limits, My Wedding Favors allow you to buy single items. This is about the closest you’ll get to obtaining samples of the goods you would like to order in bulk. Not only do they allow this, but if after you receive your sample item you decide to go ahead and order in bigger numbers, the Company will deduct your original shipping fees from your new shipping fees. Personally, I think this is a wonderful gesture. Lowest Price Guarantee – According to the My Wedding Favors website, the Company promises to match the price of any identical product if you see it being sold cheaper elsewhere. To be honest, I have not yet come across any customer feedback supporting or disputing this Lowest Price Guarantee, so I cannot really comment on this. Money Back Guarantee – This is not really a big deal because nearly all online retailers of this sort of guarantee, but it is good to know that if things go wrong you aren’t automatically going to lose your money. However, there are quite a few grey areas, but more on that in the list of Cons below. No International Shipping – Surprisingly, My Wedding Favors DOES NOT ship internationally, but instead, they only ship to street addresses within the United States; US Territories and Canada. I can’t help but feel that they must be losing a lot of potential customers to rival companies, many of whom will gladly ship wedding favors anywhere in the world. No 24 Hour Support – For many people this won’t be a major issue, but in this day and age I feel they could easily have 24 hour support. Many online businesses have a Help Desk which operates around the clock throughout the year. At My Wedding Favors, Live Help is only available during office hours, Monday to Friday, from 9AM to 6PM (ET). No Cash Refunds – Although customers have 30 days to return goods they are not happy with, cash refunds are apparently very hard to come by. Instead, the Company issues refunds in the form of credits which can then be used to purchase other items from their store. No Refunds for Personalized Items – While I can understand why the company is not willing to issue refunds for personalized products, I do feel that these sorts of refund requests should be dealt with on a case by case basis. This no refund policy also applies to a number of other products such as edible goods and cosmetics. If I were to order 100 manicure sets and later discovered that they are nothing like I was expecting, I believe I should be entitled to a refund. Okay, so this might not be major concern for some people, but it is something which I feel potential customers should keep in mind. Late Shipping – This is another grey area which could lead to disaster. I’ve read a number of reports from customers who only received their wedding favors after their big day had come and gone. While this certainly doesn’t seem to be a common occurrence, I cannot begin to imagine how thoroughly disappointing it must be if or when it does happen. Over and above the disappointment, if you have ordered personalized items, you won’t even be able to return them for a refund. If the items are not personalized, you could of course return them, but you are responsible for the return shipping costs. Restocking Fees – In many instances, if you return goods you are not happy with, you could find yourself being charged a restocking fee. In the event that you return goods without completing the Refund Authorization form that arrives with your order, there is a mandatory $20 restocking fee which will be deducted from your refund. A lot of online retailers have these types of policies in place, but that’s not to say I agree with them. If for example your wedding favors arrive late and you want to return them as a result, I don’t believe you should charge any restocking fee whatsoever. After all, the problem was caused by the Company. While I have not yet ordered anything from this Company, the vast amount of information I have gathered while doing my research suggests that My Wedding Favors is in fact a reputable business with a well established reputation. This, along with their extensive range of products makes them a powerful contender within this niche. Keep in mind that personalized wedding favors and other gifts CANNOT be returned in exchange for a refund. This also applies to all perishable goods, cosmetics, and etc. For a full list, you will need to visit their website and read through their terms and conditions. Always try to place your orders as far in advance as possible so as to leave plenty of time for deliveries. Never just assume your order will arrive within the estimated delivery shown to you when you place an order. Be aware that in real life, colors can look considerably different to how they look on your computer screen. Summary While I have not yet ordered anything from this Company, the vast amount of information I have gathered while doing my research suggests that My Wedding Favors is in fact a reputable business with a well established reputation. This, along with their extensive range of products makes them a powerful contender within this niche.